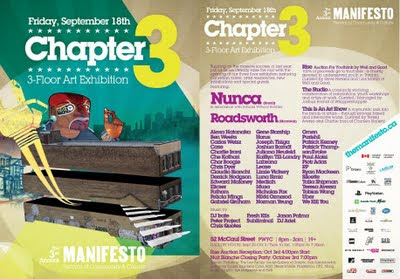 This coming Friday 18th I will be part of a 3 floor Art Exhibition in Toronto. This is part of the huge hip hop festival Manifesto. I am exited to have art along so many other awesome creators. Address for the art show is 52 McCaul Street. Enjoy!